Flame Wheel Yoyo TrickThis Trick is called Flame Wheel and this is what it looks like. 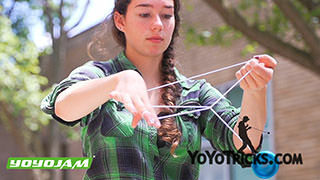 So this trick has a lot of slack in it so make sure that your string tension is neutral. 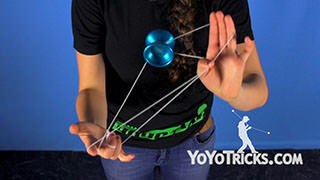 To start the trick, you are going to start in a Trapeze and while you are getting into the trapeze wrap your throw hand around the string like in Magic Drop except make sure that it is more around your wrist and then pop the yoyo up into Brother Mount like in the second part of Black Hops. 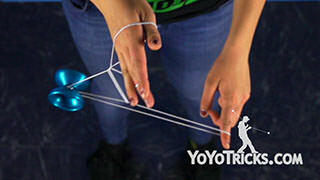 Then you are going to wrap the string around the yoyo once. So even though I just showed you it in multiple steps make sure to do it in one fluid motion. So from here you are going to unwrap the string around the yoyo by opening up your opposite elbow and bringing your opposite hand under and back in front of the yoyo. Keeping your index finger curled inwards you are going to push your throw hand thumb into the string as you bring your non throw hand back under your throw hand elbow and then bring the yoyo up and over your opposite arm making sure that this string here is laid across your wrist. 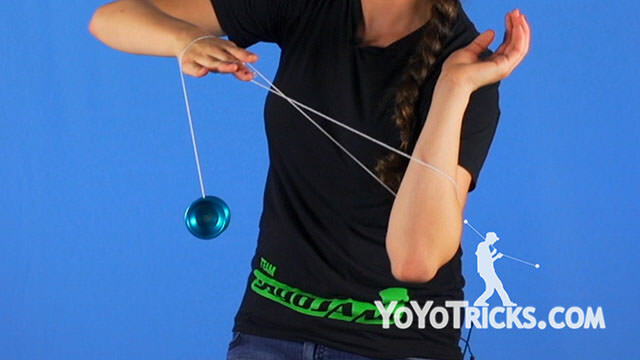 So you will notice that as I do the trick the yoyo will move side to side and also from front to back creating a circular motion as you swing the yoyo around your non throw arm. While you do this make sure not to pull these strings right here which will make these strings shorter, which may cause the yoyo to accidentally bind. 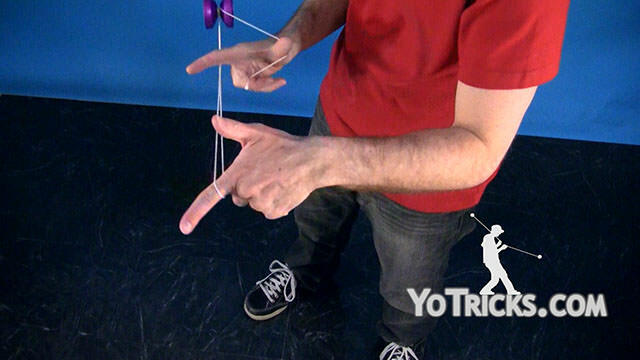 Also, when you are doing the second pass over your non throw hand, grab this string right here connected to your yoyo finger with your ring finger and your pinky which will help you later on with the slack elements of the trick. So from here you are going to push the yoyo forward so then the string will reject out the front and as you do this make sure to keep your index finger curled inward on that string so then when you do reject the yoyo the string will still slide up and catch on that finger. Then from here you are going to swing the string around your wrist and catch it with your non throw hand again sort of like in the trick Brent. Then from here you are going to pinch your thumb and index finger, rotate your wrist and swing the string around. 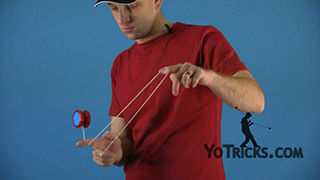 Then you are going to swing the yoyo up into the string that you grabbed earlier with your pinky and your ring finger. 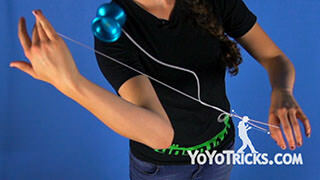 It will lay around your wrist and as you do this release your index finger that you curled in earlier like that and then you are going to push into the string and swing around the yoyo so it will bind like that and that is Flame Wheel.